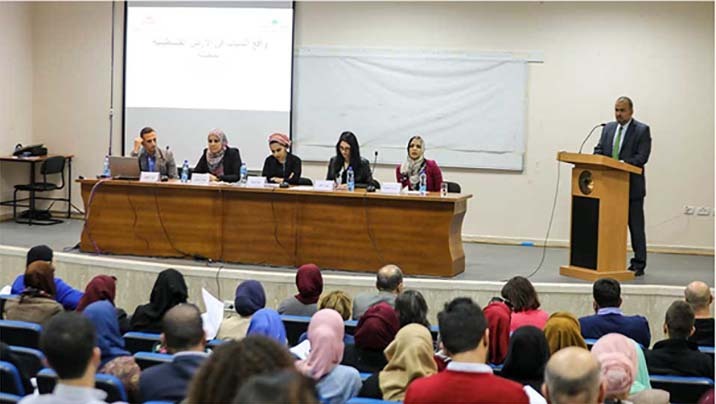 On March 6, 2018, the Institute of Community and Public Health at Birzeit University (ICPH) in partnership with OXFAM Quebec held a dissemination workshop to present the results of a study on the condition of youth in the occupied Palestinian territory. 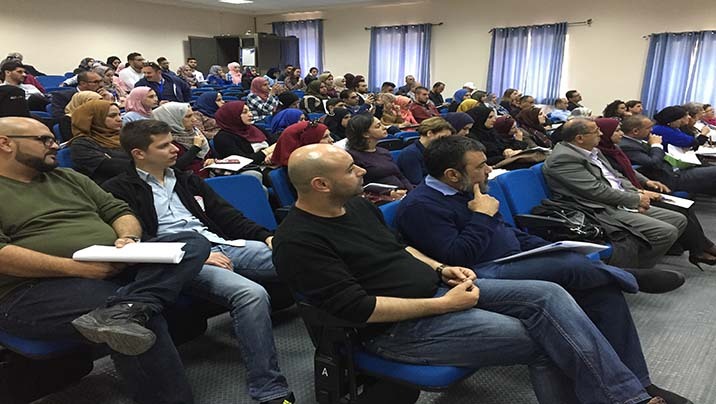 The workshop took place in Birzeit University in the West Bank and in the Center for Media Development for Birzeit University in Gaza City in cooperation with the Media Development Center and the Center for Development Studies in Gaza. The workshop was attended by a number of youth, local and international youth organizations, community-based organizations and a group of political party leaders, ministries and municipalities, along with Palestinian academics, lawyers and human rights activists, and university students. The number of attendees was approximately 140 in Birzeit and 70 in Gaza. 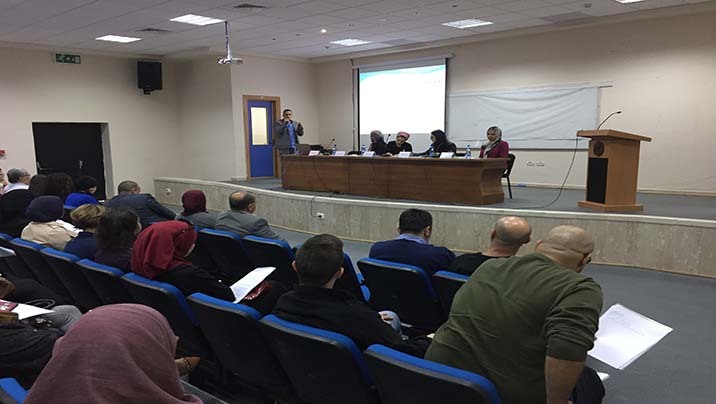 The results of the study were presented by the research team at ICPH (Shiraz Nasr, Dima Masoud, Suzan Mitwalli, Ahmed Khatib, Dr. Weeam Hammoudeh, study coordinator) and researcher, Haneen El Sammak in the Gaza Strip. The study focused on two aspects: the well-being of Palestinian youth and their attitudes towards gender equity/equality. The results indicate that the well-being of Palestinian youth is relatively low and that the marginalization of young people in various areas (social, political and economic) has negative effects on their well-being. The most important determinants of well-being are the social factors including family support and confidence in the family, society and personal freedoms. Political factors have a negative impact on well-being. These factors include the conditions resulting from the existence of occupation and the internal marginalization and suppression of youth, corruption and mistrust in public institutions and widespread unemployment, which has all led to a negative impact on well-being. As for the second part of the study, the study highlighted a noticeable disparity between males and females regarding their views on gender equity/equality. The qualitative part of the study revealed that social pressures lead to pressure on both young men and women, with greater restrictions on young women compared to men. The results of the study also indicate the need to raise awareness among young men and women and to address gender issues in partnership with the larger society. In the second part of the workshop, participants were divided into mini-discussion groups to develop recommendations related to the topics of the research. Dr. Asem Khalil, the Vice President of Birzeit University for Community Affairs, stressed the University's commitment to its role in community development and the importance of scientific research and increased knowledge and awareness. Dr. Khalil expressed hope that the study's outputs will contribute to recommendations that meet its objectives to contribute to improving the reality of Palestinian youth.